I am a violin and viola teacher, and have a thriving studio of about 25 students. I live in a city with a large Suzuki community, and have enjoyed very much the established teachers, having a well regarded Institute close by, and being in a place where the Suzuki method is well understood and well respected. Well, due to some possible changes in my husband’s employment, we may be moving soon. It would be hard to find homes for my students, and hard to start over again. But, what I’m wondering, is where the “hotspots” are for Suzuki education. Where could I go as a Suzuki teacher and be able to build a studio pretty quickly? What has been everyone’s experiences in the cities that they live in, or what cities have you heard about that have good Suzuki communities. Just curious- we may have a choice of two or three places. What is the choice of your 3 cities? Do you want a large, metropolitan area or a smaller college town? 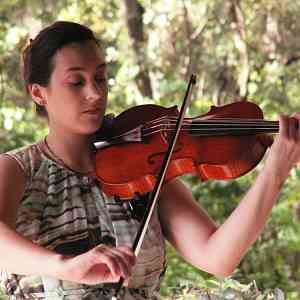 I know that Houston, Texas is losing several experienced Suzuki violin teachers who have had large studios. They are leaving the area for a variety of reasons but not because of problems with maintaining a studio. The info about Houston is very interesting- that’s one of two places we’re considering. That’s really attractive because it sounds like I would be able to fill my studio quite quickly, and the housing prices are so low! The other area is the Denver/Boulder area in CO. Anybody know about that area? And honestly, I wouldn’t mind either a big metropolis or a smaller town with a college feel. I’m feeling pretty open at the moment, and we are exploring all the options. I grew up in Rochester, NY which has a huge Suzuki community. I went to school in the Penfield School district in Rochester, which you may already know is one of the two cities in the U.S. in which Dr. Suzuki actually started his program as part of the SUPER program (SUzuki, Penfield, Eastman, Rochester). It’s a great area for teaching Suzuki! i also grew up in rochester ny, and i was going to say the same thing! i remember when i was a kid playing violin in rochester that you were either good or not suzuki. what a snotty thing for me to have thought, but those of us who got the highest seats in all county orchestra and rpyo etc were always from one suzuki studio or another…. ashley who was your teacher? oh my gosh!! i also studied at park ave suzuki— as did my older sister and younger brother! mr klein was our teacher. the studio is indeed still around- but i think it is just mr klein and mrs klotz. i now live in hong kong, where i am actually the ONLY suzuki teacher. I’m looking for a suzuki instructor in HK, are you still here? hi- i just emailed you. looking forward to talking to you! The Triangle region of NC (Raleigh, Durham and Chapel Hill) is in need of a few more Suzuki violin teachers—I had 30 students within 2 months of moving here, and now most teachers have between 25-60 students in their studios…with waiting lists! It’s also a beautiful place to live…82 degrees today, and the dogwood is out! 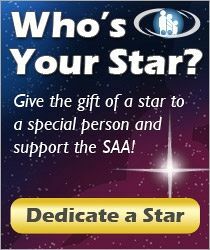 Why not check the SAA Journal for job openings?